The US Senate is discussing whether to ratify the revised Strategic Arms Reduction Treaty, or New START. One of the most controversial points is the balance between strategic offensive and defensive weapons. “Experts from Russia and the US will need to engage in a lengthy, serious and in many ways tough dialogue on the problems of missile defense following the signing of the START III Treaty in Prague. It is in this sense that the provisions in the Treaty’s preamble defining the relation between defensive and offensive weapons should be interpreted, as well as Russia’s short unilateral statement on the missile defense problem,” Kokoshin told Nezavisimoye Voyennoye Obozreniye (Independent Military Review). Kokoshin stated that since the 1960s, the role of missile defense in the nuclear balance and ensuring strategic stability has repeatedly become a topic of intensive, highly technical and emotional discussions, and this is something we should keep in mind now and for the future. At the 1967 Russia-US summit in Glassboro, the missile defense issue was raised by US Defense Secretary Robert McNamara. The problem came under discussion again in 1972 when the Anti-Ballistic Missile (ABM) Treaty was being prepared, a treaty which remains a vital commitment in terms of arms reduction. The issue was in spotlight again in the 1980s in connection with Ronald Reagan’s ambitious Strategic Defense Initiative research and development program, which envisioned the creation of both ground and space-based elements of a US missile defense system. A number of important meetings between leading Soviet and American experts were held, focusing largely on the role of various exotic weapons that did not yet exist, even in prototype. The Soviet Union came up with its “asymmetrical response,” developing concepts and a number of specific military and technical programs. Following long debates between US and Russian experts, it was confirmed that the development of anti-missile weapons should be closely related to the development of strategic offensive weapons – a commitment also acknowledged by the Bill Clinton administration. Things changed, however, with the change of power in the US. George W. Bush took a different approach, dismissing any dialogue with Russia on missile defense matters and even temporarily withdrawing from the ABM treaty, dealing a serious blow to Russia-US relations. While the current US administration acknowledges the relation between offensive and defensive strategic weapons, the treaty’s preamble states that “existing strategic defensive weapons do not undermine the viability and effectiveness of the Parties’ strategic offensive weapons,” Kokoshin observed. The treaty’s provisions and the main idea of Russia’s unilateral statement require an intensive dialogue with the US, focusing on efforts in the area of missile defense, the goals of specific missile defense systems and their potential impact on strategic stability in its most vital aspect, namely relations between Russia and the United States. 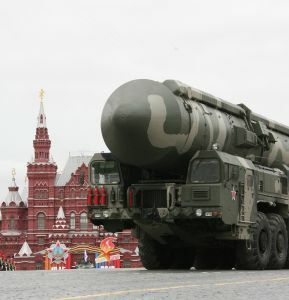 For Russia, the biggest concern arises over the development of potential ground, sea and space-based elements of missile defense that could be capable of intercepting intercontinental ballistic missiles and their warheads, Kokoshin said. All this could undermine the achievements laid down in the New START treaty.